Walk to School Wednesdays are an effort to make walking to school part of the routine for all students. Elementary school students at Roosevelt and Pride join us for weekly Walk to School Wednesday events. Students walk, bike, scooter, or skateboard to school... parents and pets are welcome, too! Our fifth grade student volunteers or student ambassadors help walkers register for Walk to School Wednesday. Every walker has their own tally card tracking their participation in Walk to School Wednesday. Tally cards help us keep track of individual walkers, too. When walkers complete rows on their cards, they win prizes! 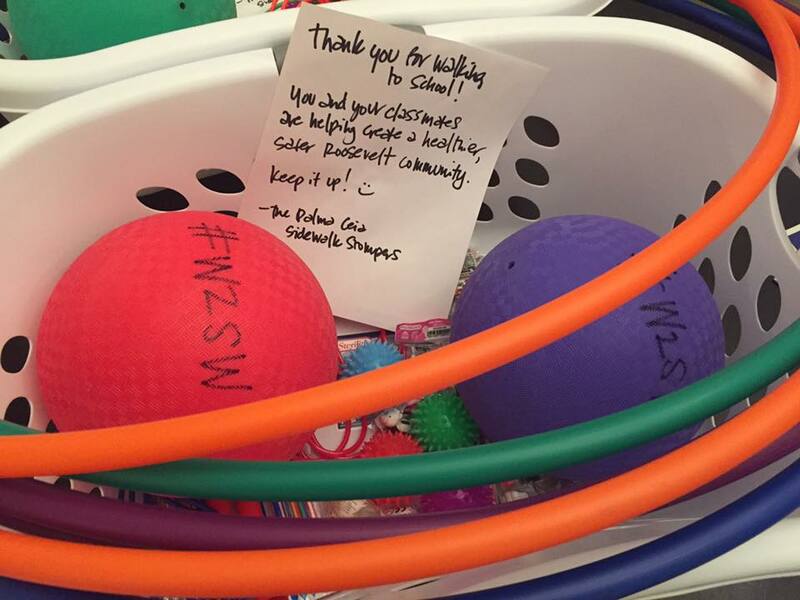 At the end of each month, the class with the highest number of total walkers wins a prize basket of playground toys: balls, jump ropes, hula hoops, chalk and more! Prizes are donated by the Roosevelt PTA and delivered to the classrooms. The Stomping Cup Trophy! The class with the highest overall number of walkers for the school year wins the Stomping Cup Trophy in May. 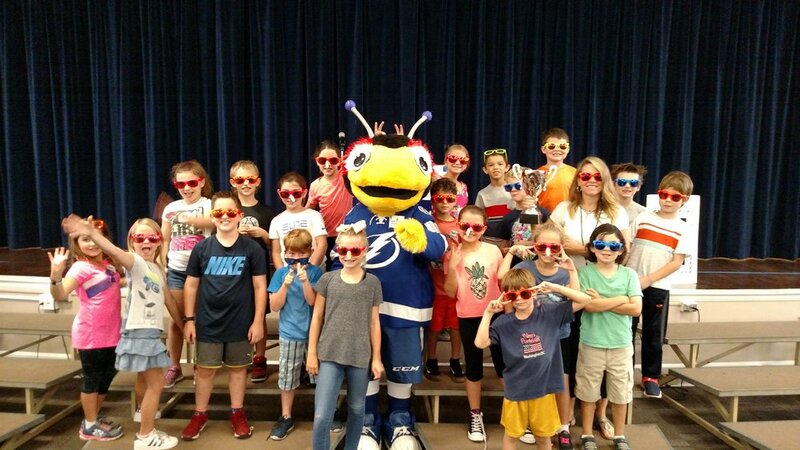 Last year's trophy was presented by the Tampa Bay Lightning ThunderBug.